Georgetown selectmen approve the change from a program that has saved the state treasurer thousands of dollars in taxes. GEORGETOWN — Some residents here say state Treasurer Bruce Poliquin’s request to move 10 acres of his waterfront property out of Maine’s Tree Growth Tax program is an acknowledgement that he never should have been allowed to enroll in the program, which has saved him thousands of dollars in property taxes. Despite that sentiment, the Board of Selectmen voted unanimously Tuesday night to approve Poliquin’s application to put his property in a less generous tax abatement program, Open Space, and avoid Tree Growth withdrawal penalties. The decision followed months of debate between the board and residents who urged town officials to reject Poliquin’s request and explore options for recovering property taxes that other residents absorbed during the eight years Poliquin’s property was in Tree Growth. Board Chairman Geoff Birdsall defended the decision during about 20 minutes of debate Tuesday night. He said the amount of taxes the town could recover would be small, relative to the legal costs it could incur. “It could backfire on the town,” Birdsall told about six people at the meeting. Poliquin enrolled 10 acres of his 12-acre oceanfront parcel in the Tree Growth program in 2004. His 4,800-square-foot home is on the other two acres, at the tip of the peninsula jutting into Sheepscot Bay. His enrollment in the program came under scrutiny after a Democratic-leaning group disclosed in February that his property had been cited in a 2009 report by a legislative task force as a questionable use of the law. The report said Poliquin wasn’t necessarily breaking any rules but may not have been using the tax exemption to promote commercial tree harvesting, as the law intended. News reports later revealed that Poliquin’s land has a deed restriction that largely prohibits him from harvesting timber or engaging in many other forest product activities that are required under the Tree Growth Tax law. 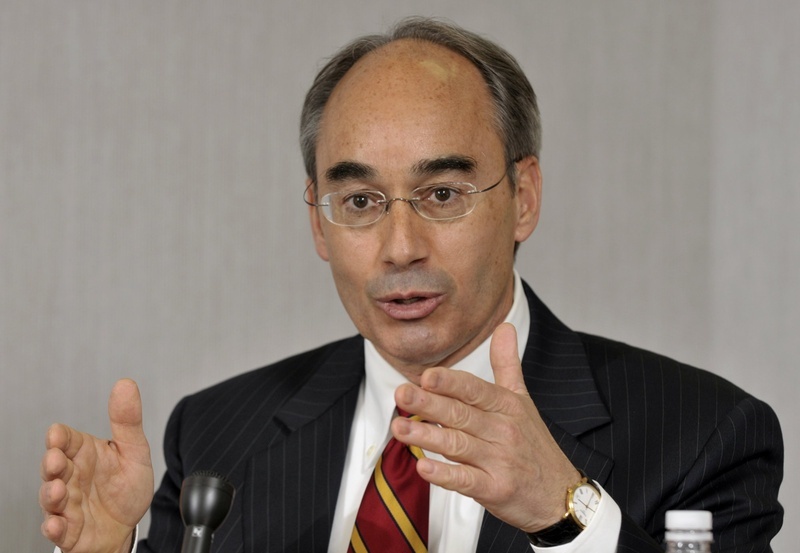 Ensuing reports prompted Poliquin’s critics to claim that he had exploited the 40-year-old law, which town and state officials say suffers from lax enforcement and loopholes. Poliquin’s 10-year forest management plan is confidential and he has refused to release the document. Claims that Poliquin was exploiting the law were amplified after Poliquin asked the town in March to transfer his property from Tree Growth to Open Space. His application was submitted around the time he launched his campaign for the U.S. Senate. He lost in the primary June 12. Rick Freeman, a Bowdoin College professor who lives in Georgetown, told the selectmen Tuesday that he’s convinced that Poliquin abused the law. Freeman said the board’s decision not to investigate further was “baffling.” He told selectmen that ratifying Poliquin’s Open Space plan without seeking legal advice effectively ruled out determining whether the treasurer had honored the intent of the program or used it as a tax shelter. Poliquin said Tuesday that his decision to transfer the property to Open Space had nothing to do with an inappropriate use of the Tree Growth program. “It’s an unfair distraction to Georgetown municipal officials, my neighbors and me. End of story,” he said in a phone interview Tuesday afternoon. He said the issue was nothing more than a campaign against him by proxies of the Maine Democratic Party who were unhappy with the reforms he was advancing in Augusta. Poliquin has paid about $30 a year on the 10-acre parcel since putting it in the Tree Growth program. is exact savings is unclear because he has refused to disclose them and the town has declined to do a certified assessment. Critics like Freeman believe Poliquin has avoided tens of thousands of dollars in property taxes. Penalties for withdrawal from the Tree Growth program can exceed what a property owner saves in taxes. Poliquin will get a significant property-tax break in the Open Space program, about 50 percent of his most recent valuation of $943,000. That program essentially requires protection of the property’s natural environment. The extent of the tax break corresponds with the amount of public access a property owner allows. Before Tuesday’s meeting, Birdsall said that the matter isn’t a concern for most Georgetown residents, and that Poliquin’s political position brought more attention to it than it deserved. “If this had been any other individual, there wouldn’t have been any issue,” he said. According to minutes from the selectmen’s meeting on April 10, Birdsall indicated that the real issue was the Tree Growth law itself. He described the program as “far too loose” and said it and other abatement programs allow people to shield themselves from taxes while shifting the burden to residents who pay the full share. Code Enforcement Officer Robert Trabona said Tuesday night that Poliquin may have taken advantage of the law without breaking it. That sentiment has been shared in other towns, particularly coastal communities where forest harvesting required by the Tree Growth Tax law would appear to be limited by topography, geography and other factors. Recent news reports have cited widespread frustration among municipal assessors who must enforce the law. More than 105 coastal towns have properties in the Tree Growth program, representing about 8 percent of total enrollment.